Description : Many strange and mystical objects were encountered by the Slipgate rangers during their explorations and battles against Quake and his minions. One of these is the Morning Star. At first glance it looks like a primitive medieval weapon. That's where the similarity ends. 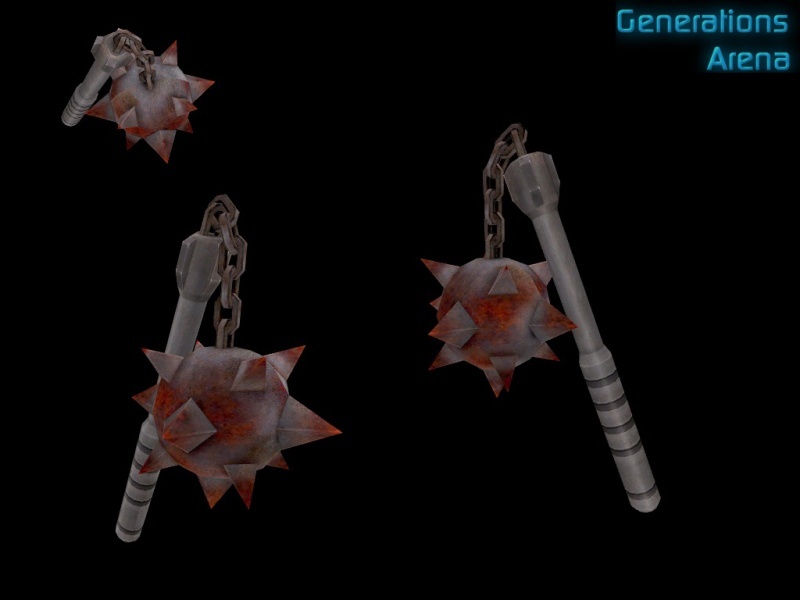 This magical device extends the spiked iron ball out at an incredible rate of speed, and then reels in the wielder at an even faster rate of travel. In addition, the iron ball will rotate and rip apart anything fleshy that it encounters like a portable blender on a chain while bringing the wielder in closer to the unfortunate foe. The Morning Star is a formidible tool for fast travel and evisceration! Ammo Type: Magical, does not need ammo. Special Features: Inflicts damage and keeps on hurting. Will pull in wielder to anything it hits, including other players.